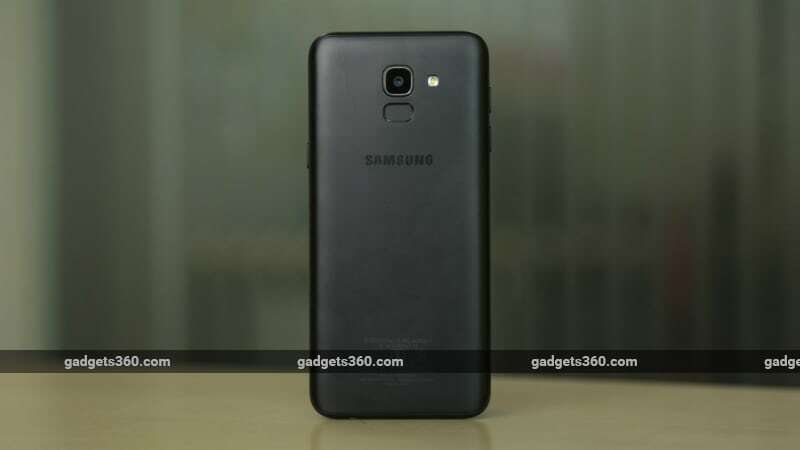 Samsung Galaxy J6, the company's latest mid-range smartphone launched in India on Monday alongside the Galaxy J8, Galaxy A6, and Galaxy A6+, is the latest entrant in the sub-Rs. 15,000 price segment and the cheapest handset to sport the company's popular Infinity Display. Key features of the Galaxy J6 include an Infinity Display with an 18.5:9 aspect ratio, Face Unlock, Bixby voice assistant, Live Focus and Selfie Flash in the front camera, and Samsung Pay Mini. The smartphone runs Samsung Experience 9.0 on top of Android 8.0 Oreo to offer users with a heavily customised interface. As for pricing, the Samsung Galaxy J6 price in India has been set at Rs. 13,990 for the 3GB RAM/ 32GB inbuilt storage variant, and Rs. 16,490 for the variant with 4GB of RAM and 64GB of onboard storage. The phone will be available starting May 22, via Paytm Mall, Samsung India E-Store, Flipkart, and Samsung retail stores. 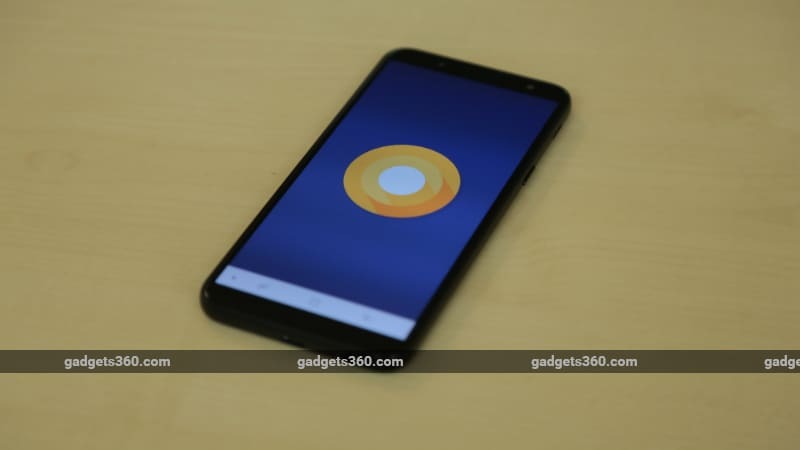 There are features aplenty in this new budget smartphone but does it bear the mettle to compete against the likes of crowd favourites such as the Xiaomi Redmi Note 5 Pro (Review), Asus ZenFone Max Pro M1 (Review), and the recently launched Oppo Realme 1 (Review)? We spent some time with the Samsung Galaxy J6 and here are our first impressions of the same. Much like dozens of other handsets in the Galaxy J series, the Galaxy J6 also has a no-frills design albeit with a tall display and a rather narrow rear-mounted fingerprint sensor. The Samsung Galaxy J6 features a 5.6-inch HD+ sAMOLED display that gets a resolution of 720 by 1480 pixels and an aspect ratio of 18.5:9. Equipping Samsung's proprietary panel technology, the Galaxy J6's display looks great for its price segment however a full-HD+ panel would have been much better, considering competitors like Redmi Note 5 Pro and ZenFone Max Pro M1 each sport one. It has decent brightness levels and colour reproduction is accurate - something that is expected from Samsung's stellar display panels. And, much like other full screen smartphones in the market, the screen is the major occupier of the Galaxy J6's front. There are no physical buttons; instead the Home, Back, and Overview are present on screen, at the bottom. Above the display is the phone's front camera that packs in an 8-megapixel front sensor and a front-facing LED flash that takes some decent selfies even in inadequate lighting conditions. Stay tuned for our extensive review where we test out Samsung's much-advertised Live Focus feature that adds a real-time bokeh effect to selfie shots. The Samsung Galaxy J6 also boasts of facial recognition as a feature, which, similar to what we've seen in many other phones at this price point, is mediocre at best. While we haven't yet spent much time with the phone, the Face Unlock required good lighting and a certain angle to unlock, making it rather inconvenient. We found that the fingerprint sensor was a much faster and efficient way to get in. At the back, Galaxy J6's design is a breather from previous Galaxy J series mid-range smartphones. There's still a polycarbonate shell, but one that looks and feels much more premium in hand. It's the right blend of a matte and glossy finish that users need to experience firsthand to get an idea of. There is the single rear camera with a 13-megapixel sensor with an LED flash. Below that is an oddly-placed narrow fingerprint sensor that gets the work done and was largely accurate in our initial testing. Right of the handset bears the lock/ power key and a speaker grille; on the left, you get the volume control buttons, a slot for SIM 1, and a slot for SIM 2 and a microSD card. This setup is reminiscent of Samsung's Galaxy A series of smartphones. On the bottom of the Galaxy J6 is a Micro-USB port and a 3.5mm headphone jack; and, on top, there's nothing of interest. At the core, the Samsung Galaxy J6 gets an in-house Exynos 7870 SoC, which is the company's default choice for mid-range smartphones in 2018. The phone has options of 3GB and 4GB RAM. We tested out the unit with 3GB RAM and 32GB storage. Initial impressions suggest snappy performance, but wait till the full review to see our detailed verdict on the phone's performance. A great plus point for the Galaxy J6 is that it runs Android 8.0 Oreo out-of-the-box. While not the latest software experience per se, it is still better than a lot of other mid-range offerings that still rock the old Android Nougat builds. There is no official word on an Android P and we definitely wouldn't be too hopeful about the Galaxy J6 getting that kind of an update anytime in the near future. There is a 3,000mAh battery under the hood. Stay tuned to Gadgets 360 for an extensive review of the Samsung Galaxy J6's performance, battery, software, camera, and value for money. product Samsung Galaxy J6 first impressions take a deeper look at the new budget smartphone with bezel-less display, its software, and other key features.